Get ready to enjoy all those pleasures that true Southerners live by - Beer, Bourbon, Barbeque, Boots, Bacon, Biscuits,Bluegrass and Smoked Beasts! It's the The 4th Annual Whiskey Social. The largest annual Whiskey and Bourbon tasting in Texas, Featuring more than 400 Whiskies and spirits from around the world, select Single Barrel offerings and fine food to match. Say goodbye to winter and welcome in the warmer weather at Whisky Warmer in Franklin, TN. Join us to sample Four Roses and other whiskeys from around the world, and enjoy some great local food and live music. Your ticket includes 15 whiskey samples. This event is 21+ and outdoors, so bundle up! Need a new Derby hat? Join us for a Derby Hat Exchange! The Derby Hat Exchange will feature brunch cocktails provided by Four Roses, a Derby-themed silent auction and three festive rounds of Derby hat exchanging! Think White Elephant, but instead of leaving with a coffee mug, you'll be off to the races with your new Derby hat! All proceeds for the event directly benefit Dress For Success Louisville! We’re excited to be a part of the nation’s largest annual fireworks event this year and look forward to celebrating with you. 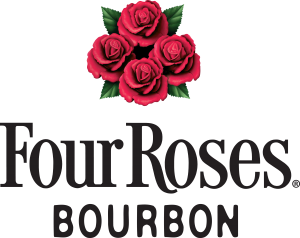 We have partnered with Drake’s, a neighborhood restaurant & bar, to serve a specialty Four Roses Bourbon cocktail to event attendees. Mix, mingle and enjoy Bourbon Specialty Drinks at the newest Kentucky Derby Festival event, BourbonVille. Taste signature drinks from Kentucky’s Bourbon distilleries, enjoy Bourbon-inspired cuisine and meet the Master Distillers.